I was excited when I saw that the Village Baker was moving into the main floor of the new 111 Main building in downtown Salt Lake City. I’ve been a fan of Village Baker since I lived down in Draper and frequented their West Jordan location. The new downtown shop opened a couple months ago, and has had a brisk business ever since, without a doubt helped by the continued growth of the downtown workforce and the accompanying strain this growth has placed on downtown lunch spots. I rarely venture out for lunch past about 11:45 because lines at almost every downtown dining spot will be 10-15 people deep. Maybe I’ll develop a new measure of downtown economic growth and base it on the line length at 12pm at sandwich shops. Breakfast sandwiches, coffee, soups, salads, pizza, sandwiches, a variety of sweets and pastries–you name it, and this place will likely have it. As opposed to Kneaders, Village Baker’s bread selection is less rustic and artisan and centers more squarely on traditional American bread pan breads: honey wheat, honey white, French, and sourdough, with other specialty breads such as sunflower whole wheat, raisin, multigrains, and cinnaburst loaves produced on a rotating weekly schedule. One popular sandwich is the turkey cranberry ($3.74 for half, about $7 for whole). The turkey, which was somewhat clumsily and unevenly placed in the sandwich, mayonnaise and cranberry sauce were contained by two thick slices of honey wheat bread. This sandwich is one of their more popular menu items, and I can see why: it’s delicious. I wasn’t initially sold on cranberry on my sandwiches, but once I tried it, there was no going back. For an extra $2.50 you can make your sandwich a combo and get a beverage and your choice of either chips or a large cookie. Sorry Lays, but I’m going for the homemade peanut butter chocolate chip cookie every time. On another visit I tried the turkey, provolone, and avocado sandwich ($4.32 for a half sandwich and I think around $7 for the whole). This one came served with thin slices of bread despite my request for the thicker slices, and was, simply put, anemic and a little bit sad. It lacked the filling robustness I’m accustomed to at Village Baker. This sandwich was a boring dud. The pizza is delicious, and extremely well priced at about $2 per slice. At that price I have to imagine they will give some other downtown pizza places a run for their money. 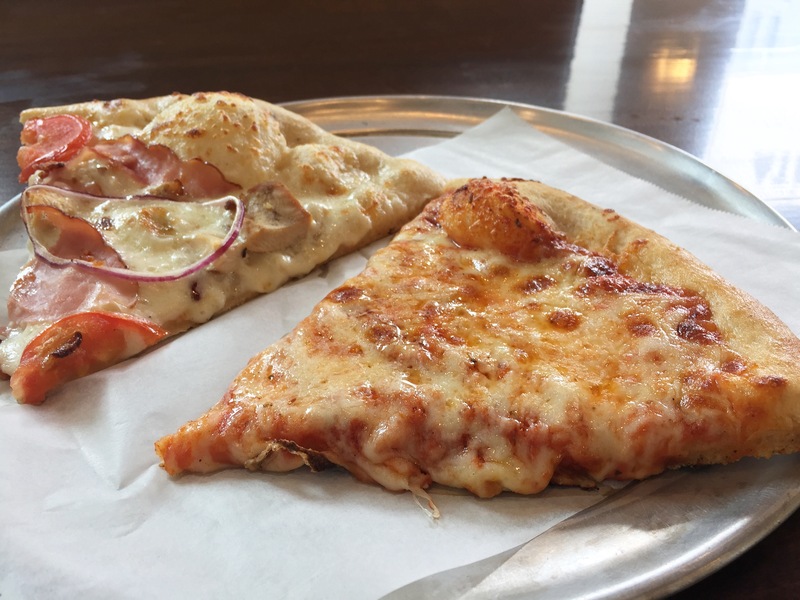 The slices are generous, sauce well balanced, cheese is perfectly stretchy and gooey, and the thicker crust has the perfect chew. I’m a fan. Their cookies are good, but sadly not as good as those that I remember from the West Jordan location. At West Jordan, the cookies are thick and chewy, whereas at the downtown spot they are much thinner. This results in a crisper, drier cookie that makes me yearn for their more robust southern brethren. For breakfast, I was impressed by their savory breakfast roll ($3.59), which features hash browns, red and green peppers, mozzarella and bacon. The rolls are packaged for a quick to-go option, but the kitchen is more than happy to warm it up for you, which I would highly recommend if you have the time. The space itself is bright, cheery, and well decorated. During the warmer months, patio tables are placed outside on the sidewalk, greatly expanding their capacity. During the colder times, diners are restricted to limited seating on the main floor, but Village Baker anticipated this and came up with a brilliant solution: they build a mezzanine floor above the kitchen, where I imagine 30+ hungry diners can fit at any given time. Service is of the “order at the counter and take a number to your table” variety. I’ve always been helped by cheerful people at the order counter as well as those delivering my food. I’ve had them ask me how things are as they walk by delivering orders to other tables, which is greatly appreciated and shows me they care. 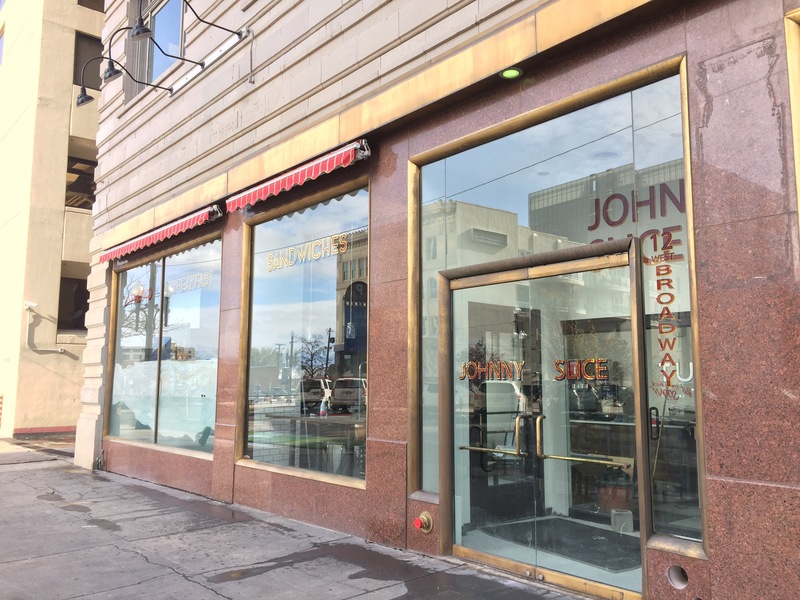 Does downtown seriously need another soup and sandwich place? Yes. While I’d love to see a bit more variety hit downtown dining spots, demand for noontime noshing continues to strain eateries, so it’s nice to have another sandwich spot to help relieve some of the lunch rush pressure. 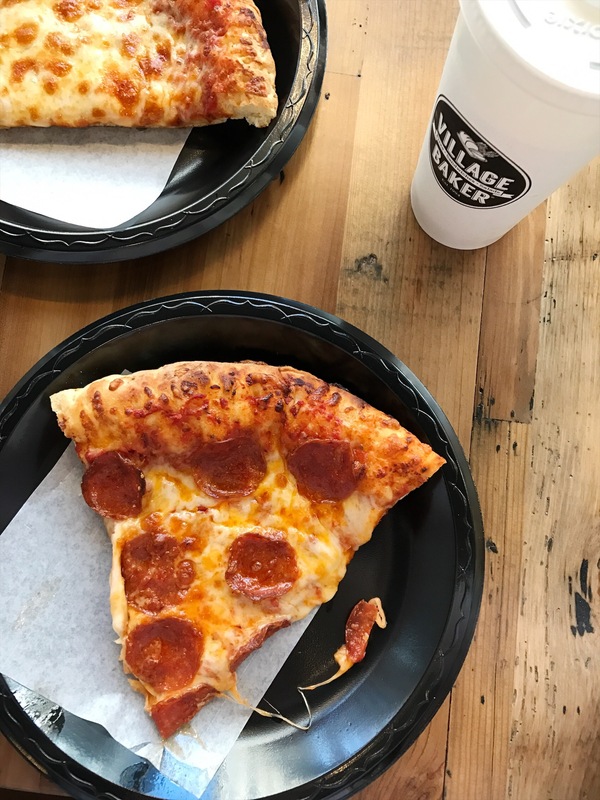 Village Baker is a top-notch addition, and I’m glad they chose to come downtown. Judging by their crowds, I think they’ll do just fine.